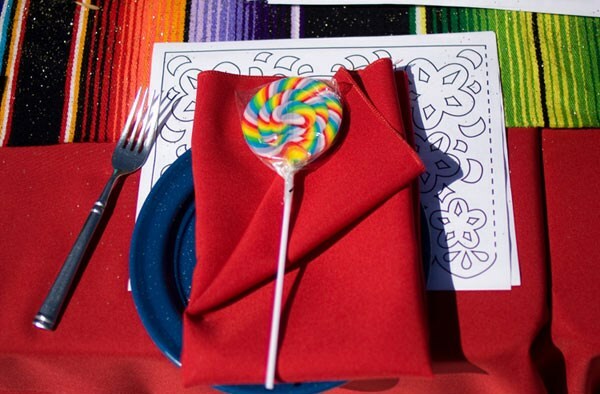 The color red anchors this event without taking over. 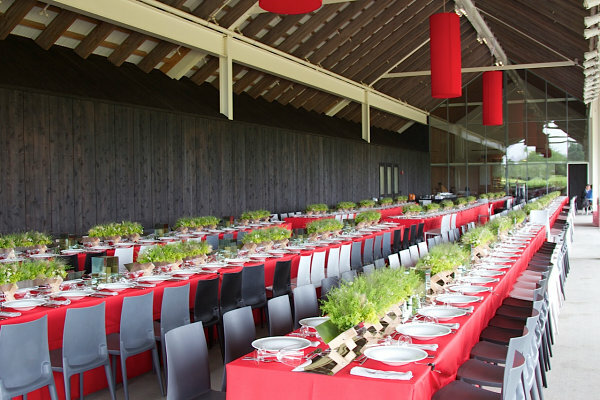 Combined with gray and black chairs and fresh green centerpieces that evoke the natural beauty of meadow flowers, red becomes clean, modern and appetizing! 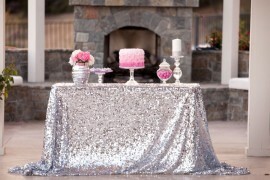 As an added bonus, the glowing lighting overhead was reflected in the mirrored table runners at this lively party. 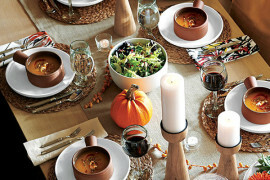 To create the look at home, opt for a tomato red tablecloth, add a fresh green centerpiece, and keep the overall vibe clean and simple. 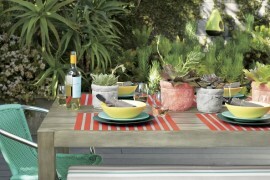 Metal chairs and accents are the perfect complement to tomato red! 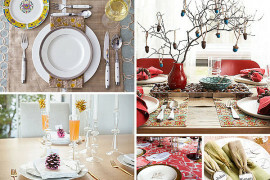 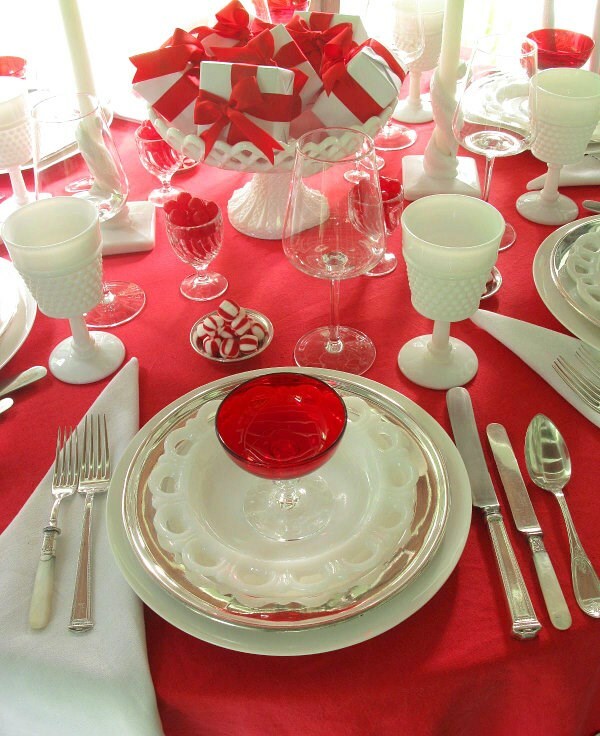 A few years ago, designer Eddie Ross created this stunning holiday table setting featuring milk glass and peppermints. 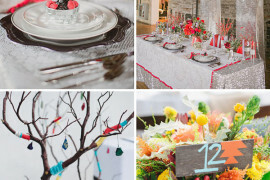 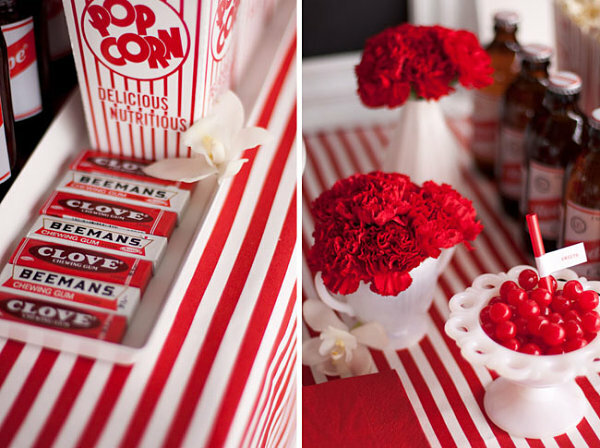 We think it’s perfect for year-round fun, as the pairing of red and white screams vintage, and the candy-themed motif will make your table setting look good enough to eat. 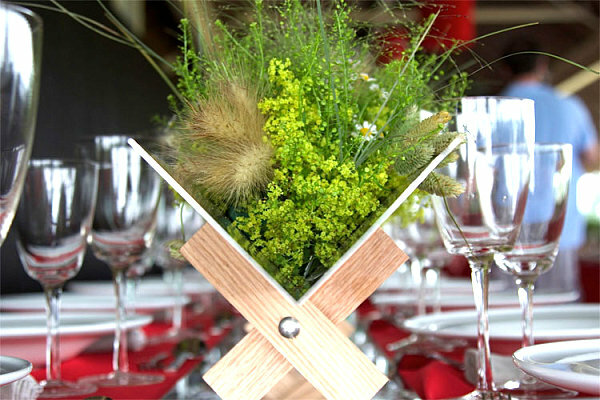 Whimsical, yet crisp and polished! 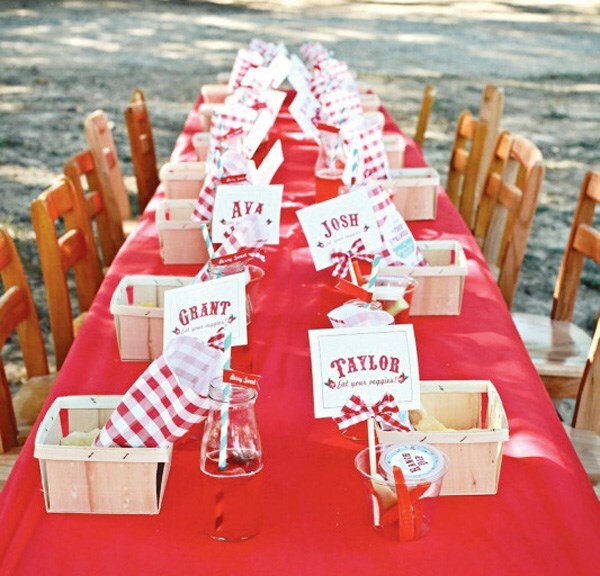 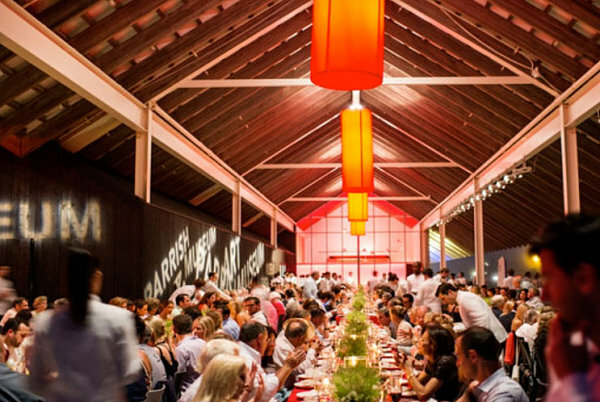 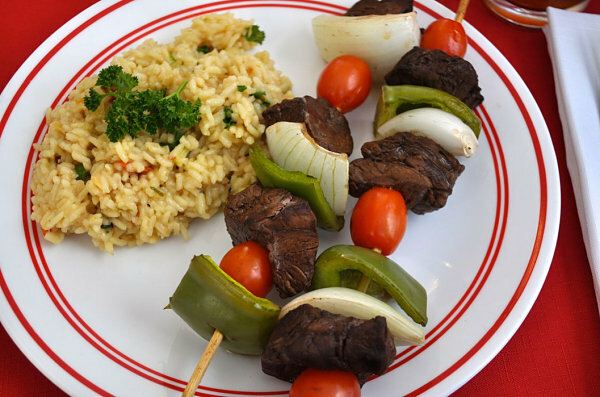 Do you use a heavy dose of red in your entertaining endeavors? 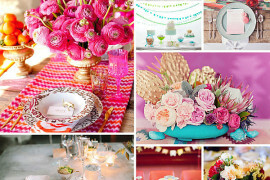 Remember that this hue is perfect for modern table settings, vintage-style vignettes, and of course, kids’ parties! 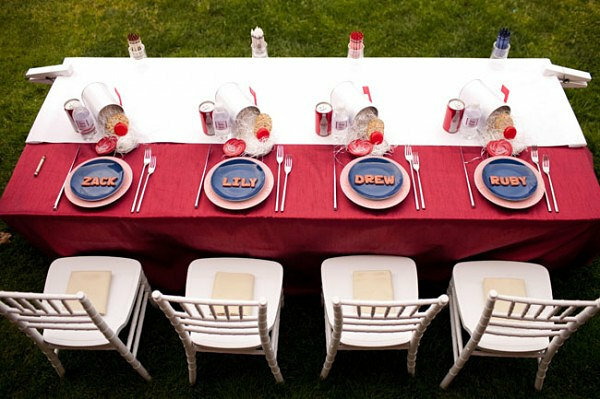 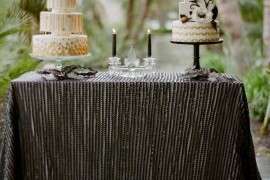 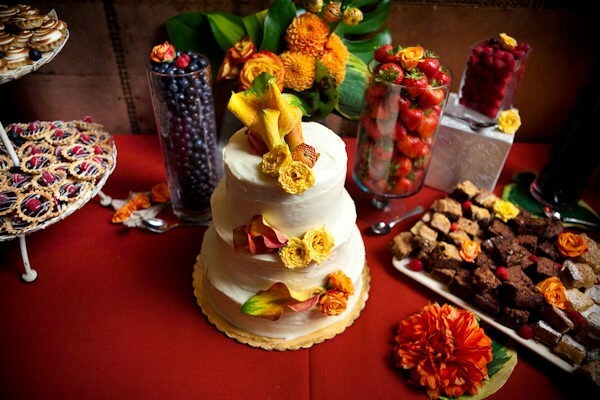 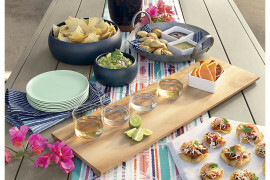 Go bold, and enjoy the process of reveling in a dynamic hue that can add interest and fun to your next gathering.